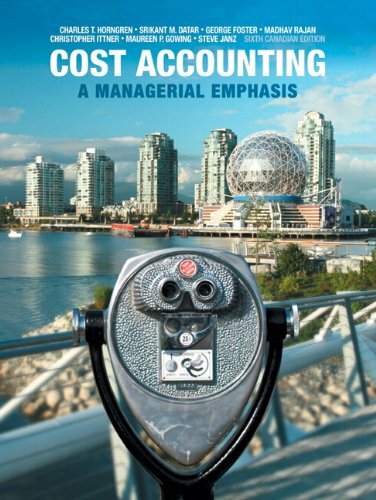 Horngren et al., Cost Accounting: A Managerial Emphasis is designed to provide students with the most accessible, engaging and relevant tools and resources to understand Cost Accounting, including how to help managers make better decisions. This 6th edition continues to have unparalleled quality and range of assignment material. Note: If you are purchasing an electronic version, MyAccountingLab does not come automatically packaged with it. To purchase MyAccountingLab, please visit www.MyAccountingLab.com or you can purchase a package of the physical text and MyAccountingLab by searching for ISBN 10: 0133389405 / ISBN 13: 9780133389401.